Hi and happy Friday! I am moving along on my Christmas Cards! 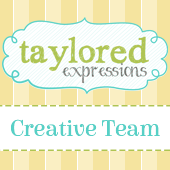 I have a card to share today created with products from Taylored Expressions. 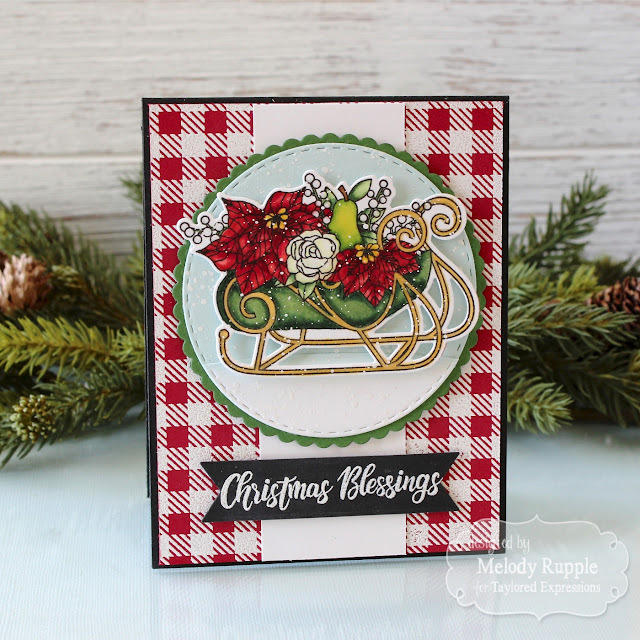 I went with classic Christmas colors and used a new background stamp, the Buffalo Plaid Background Stamp, which is my new favorite! 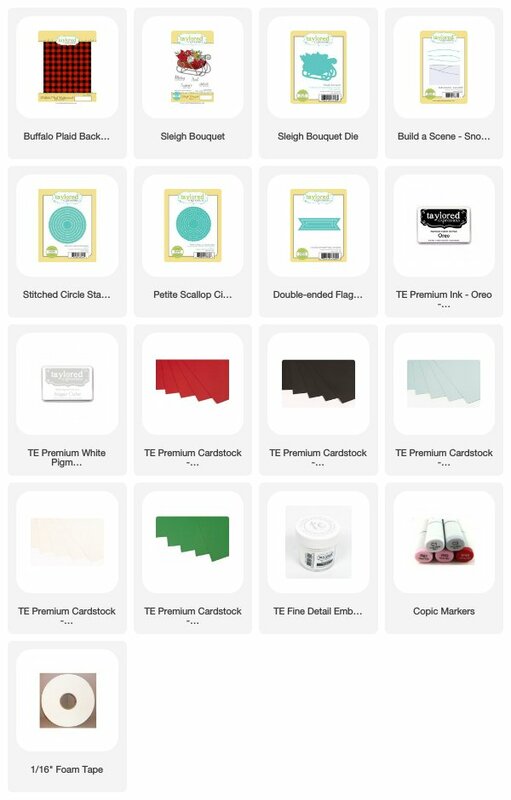 I stamped the Buffalo Plaid Background Stamp on Cherry Pop Cardstock with Sugar Cube Ink and embossed with TE White Embossing Powder. 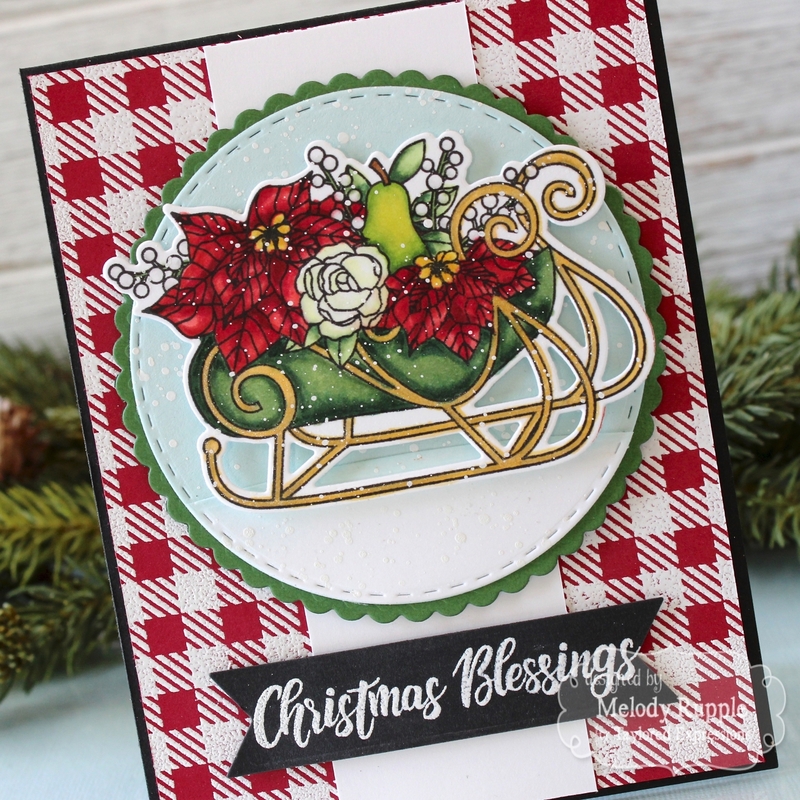 The beautiful Christmas Sleigh is stamped with the Sleigh Bouquet Stamp and colored with Copic Markers. The sleigh is die cut with the coordinating Sleigh Bouquet Die. I added a hill of snow with the new Build a Scene - Snow Drifts. Then I did a light splatter of white paint on the scene. The circle is cut with Stitched Circle Stacklets and framed with Petite Scallop Stacklets. 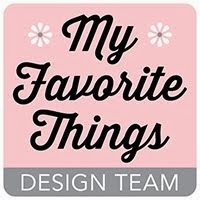 The sentiment is from the stamp set and die cut with the Double Ended Flag Stacklets.